This thou must always bear in mind, what is the nature of the whole, and what is my nature. What is harder than rock? What is softer than water? 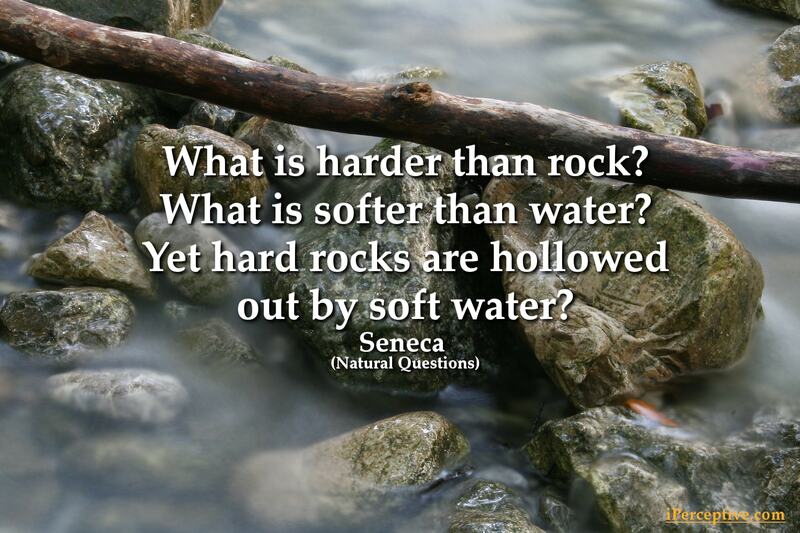 Yet hard rocks are hollowed out by soft water?